William M. Crosby started CELA on November 8, 1986. The first meeting was scheduled for November 1, 1986 but then postponed until November 8, 1986. The first meeting was held in Irvine. The first Executive Board consisted of William M. Crosby, Susan J. Hartley, John C. McCarthy, Joseph Posner, Bennett Rolfe, Jim Stoneman, and William C. Quackenbush. 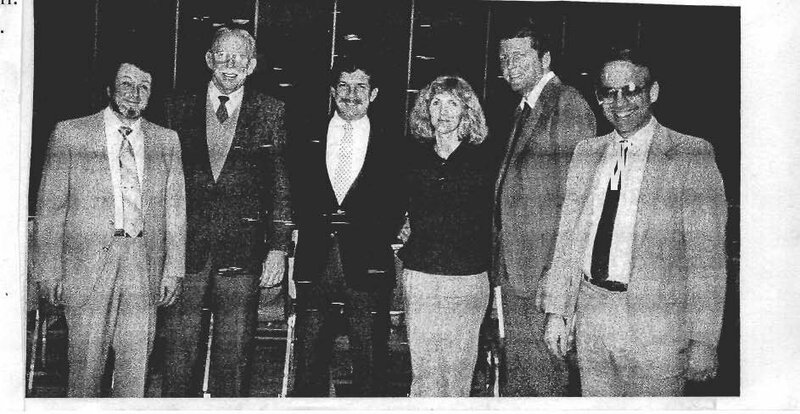 The second CELA meeting (the first northern California meeting) was held on February 21, 1987 in Burlingame. The first CELA conference was held in 1987 in Los Angeles. This picture of the first CELA Board sans Bennett Rolfe was taken at the conference. The first CELA newsletter was published in January 1987. The second newsletter was published in May 1987.